The written testimonies of those who served in the First Word War are a valuable resource and are particularly resonant as we commemorate the events of 100 ago. There are still many accounts out there that are not readily available and this volume reproduces some that were originally published in the popular ‘The Great War: I Was There’ magazine , which ran for 51 issues from 1938-39, edited by Sir John Hammerton who was also responsible for the weekly wartime publication ‘The War Illustrated’. The book consists of 32 accounts covering 1914, from the soldier who fired the first British rifle shot of the war, to the infamous Christmas truce. In between many well-known events are included, from the crossings of the Marne and the Aisne, the siege of Antwerp, and the battles of First Ypres. 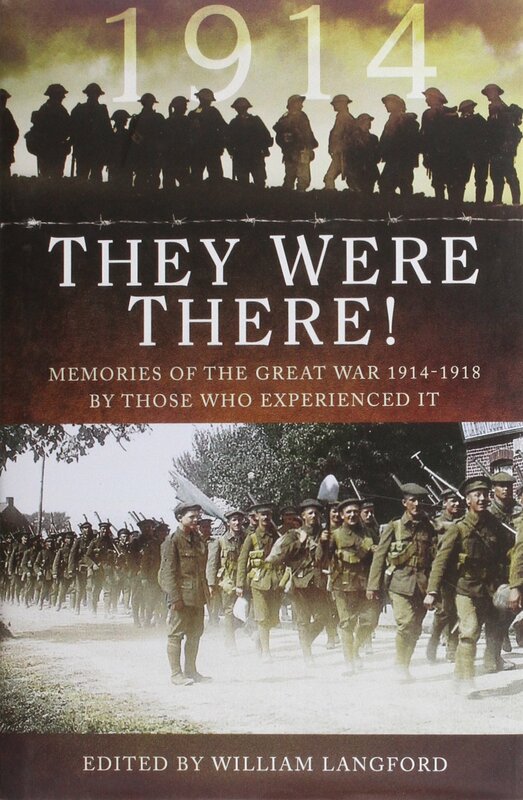 Some of the authors of these accounts will be well-known to First World War buffs (such as Frank Richards, who penned the memoir ‘Old Soldiers Never Die), but others will no doubt shed new light on these events for many readers. A broad range of soldiers have been selected, ranging from Privates to Brigadier-Generals. Some of the selection were written during the war as diary entries but the majority seem to have been recounted in the years after the war, and may therefore suffer from the issues of accuracy and recollection that can plague such sources. Editorial input is minimal and mainly concerned with standardising language and terms, with only a few explanatory notes provided. My issue with the simple reproduction of the accounts is that no additional context is provided, nor have any been cross-referenced or verified. Personally I would have preferred more substantial editorial input (such as annotation of the accounts) to provide a more comprehensive view about the individuals and places mentioned and events taken part in or witnessed. In addition, frustratingly there is no index, which would have been valuable for those looking to track down a particular unit or place. Despite these quibbles, this does not mean that the accounts in their presented format are not valuable, or have not been corroborated elsewhere. The accompanying photos are fantastic and many will be familiar to students of the war, but it is unclear if these are pictures that appeared in the original magazines. As this volume covers only 1914, presumably further volumes are planned for the remaining years of the war; overall this is a fantastic resource but one which could have benefited from further context and input.